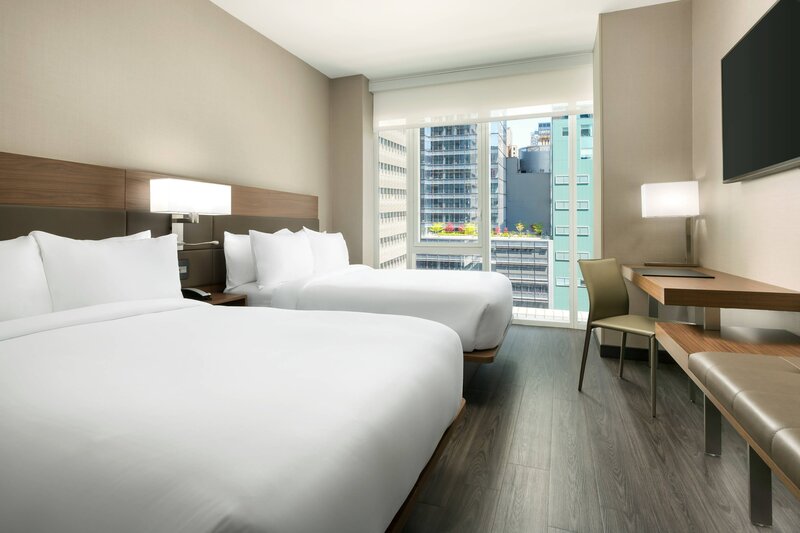 Designed for an amazing stay – and your best night’s rest – in the city that never sleeps! This new Times Square hotel melds an urban vibe with classic elements that harken back to its Spanish roots. 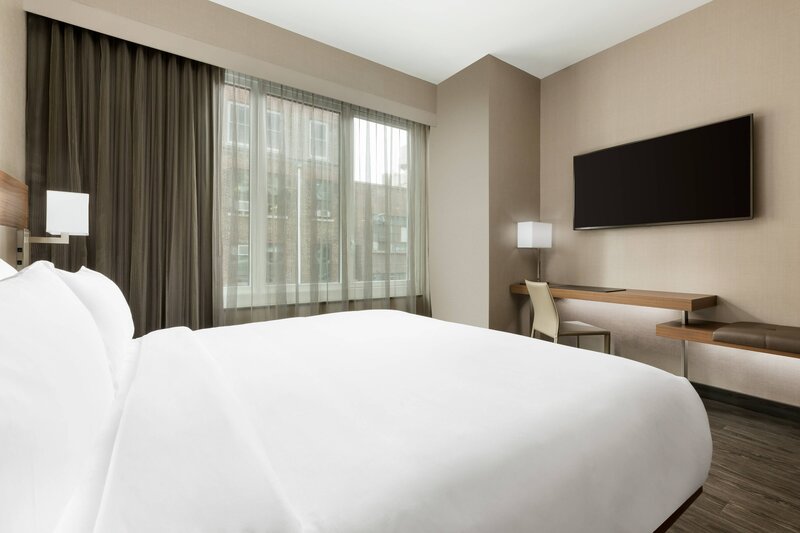 Shared spaces feature original artwork, while guestrooms are an oasis of modern design with sleek furnishings, complimentary Wi-Fi, and options like private balconies and ceiling-to-floor windows to make the most of city views. 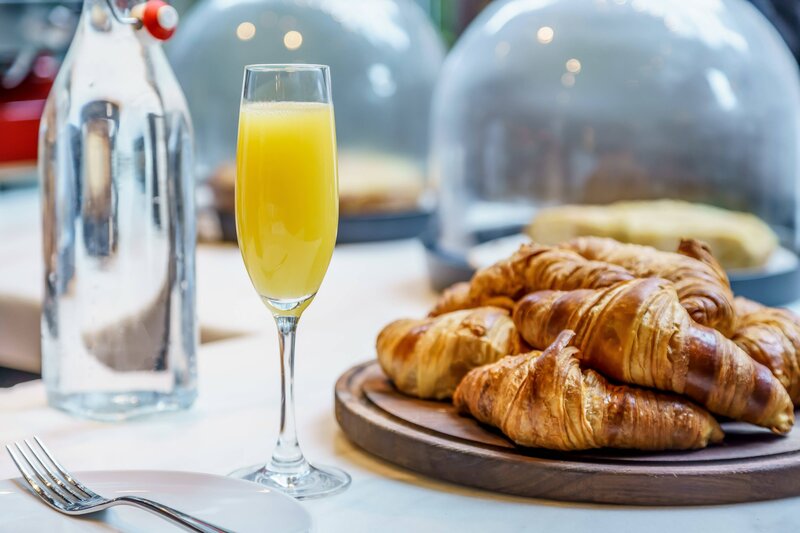 This perfectly positioned hotel is within the city center, walkable to everywhere and only a half-block from public transportation, yet just enough removed to keep the bustle at bay. Castell, a year-round rooftop lounge, serves up classic cocktails and iconic views. 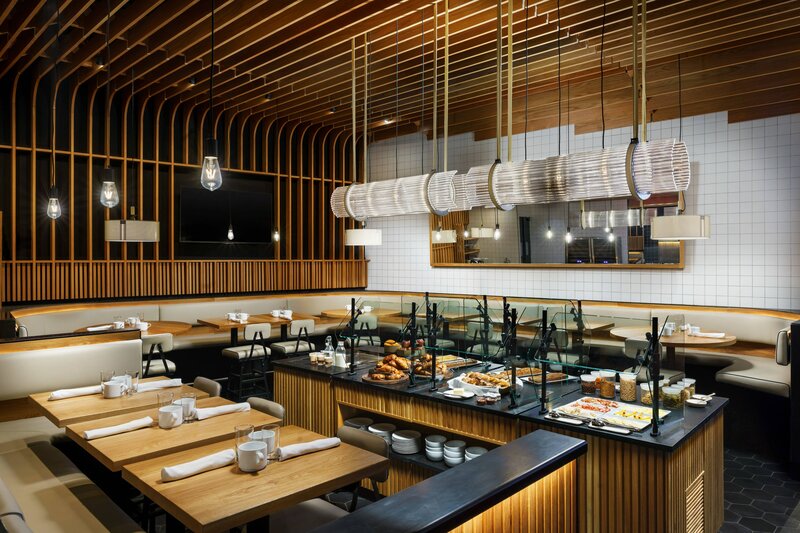 Boqueria – a Barcelona-style tapas bar on the lobby level – serves the signature European-inspired AC breakfast. 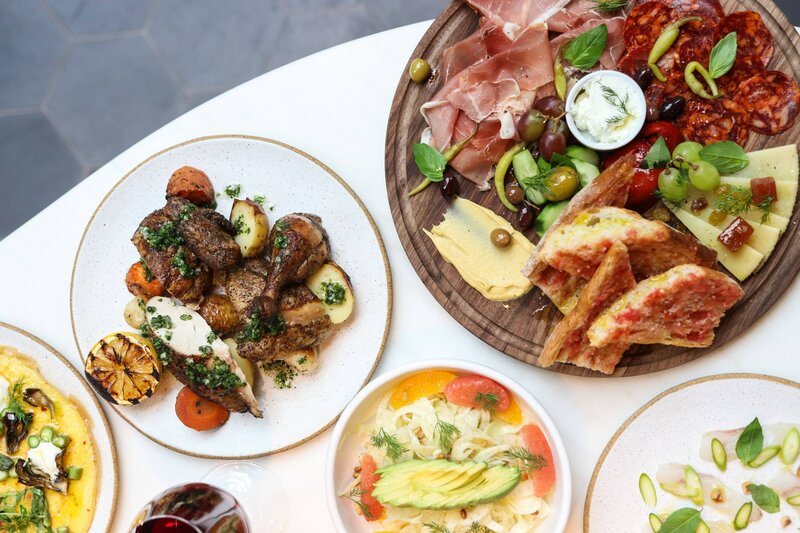 Lunch and dinner feature tapas, paella, and seasonal specials designed for easy sharing; Sangrías, Spanish wines, classic vermouths and aperitivos are served up with convivial spirit. Shared spaces in this NYC hotel showcase original artwork – from sculpture to abstract paintings – while guestrooms feature photography of the city’s iconic architecture. Make the most of New York City&apos;s skyline in a room that comes with every essential -- including a view. 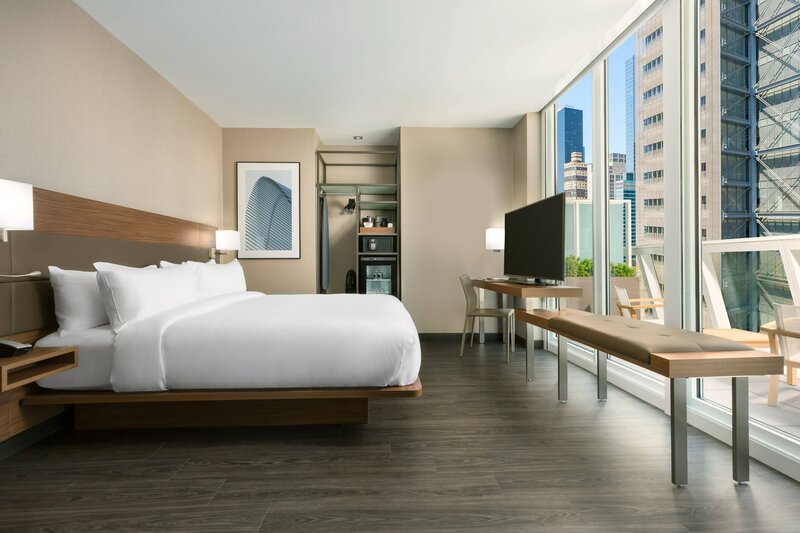 Sweeping city views – via floor-to-ceiling windows and full balconies – enhance every essential to provide your best night’s rest in the city that never sleeps. Come up to our NYC rooftop bar on the 21st floor for classic cocktails and iconic views. 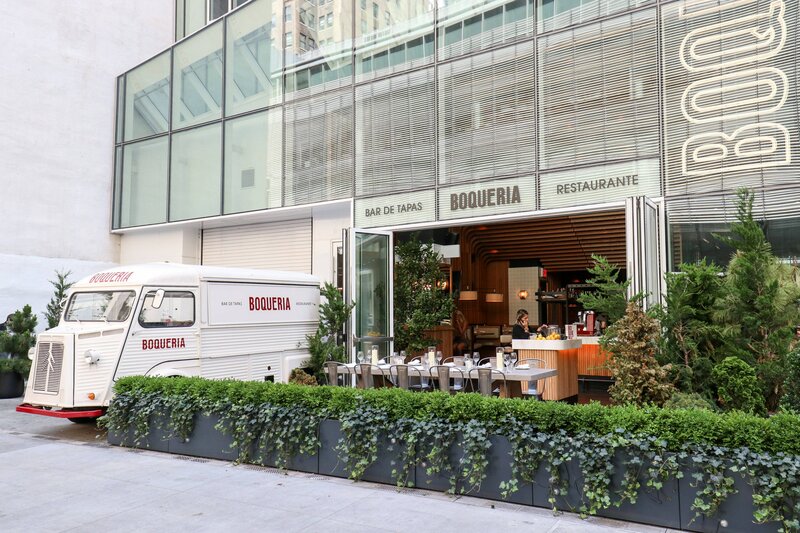 Beloved NYC restaurant brings lively Spanish tapas and convivial spirit to 260 W 40th St., adjacent to the lobby of our AC Hotel in Times Square. 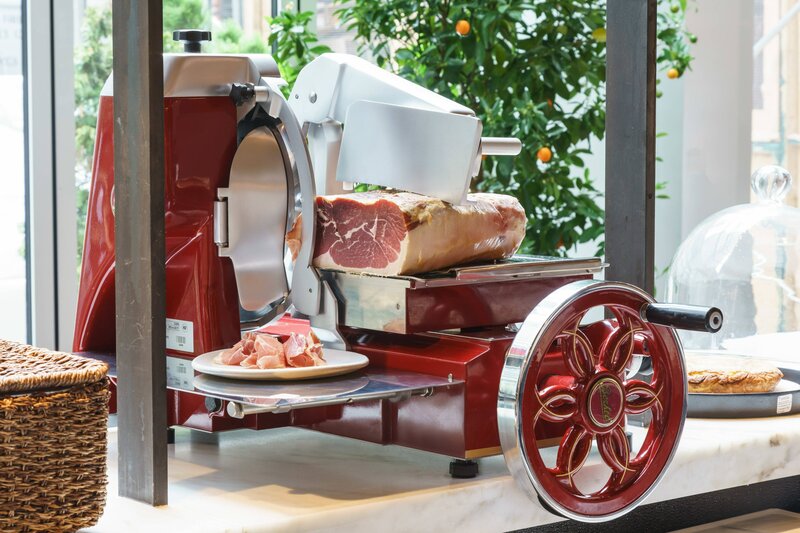 Boqueria – a popular Barcelona-style tapas bar and restaurant – serves time-honored specialties in its newest location, adjacent to the hotel’s lobby. 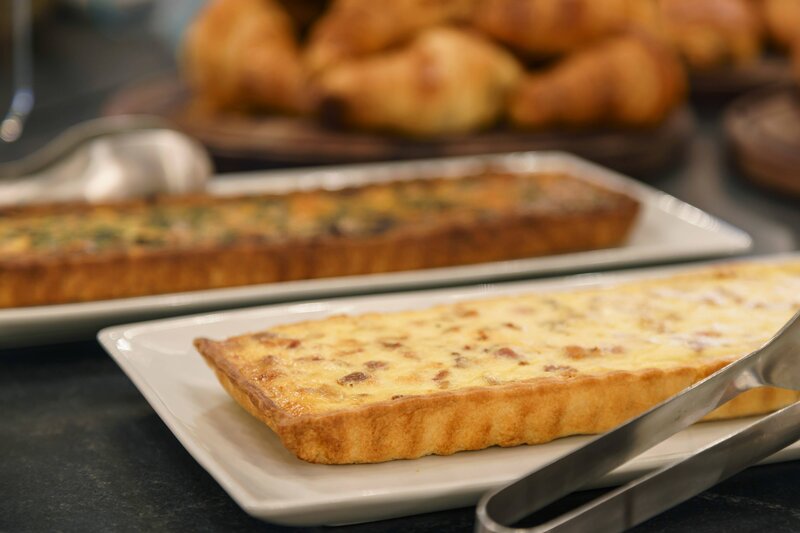 A location-specific breakfast at Boqueria West centers on fresh croissants, hand-sliced charcuterie, artisanal cheeses, egg tarts, and house-made chia pudding. Ideal location inside the city center, close to everything yet far enough removed to keep the bustle at bay. 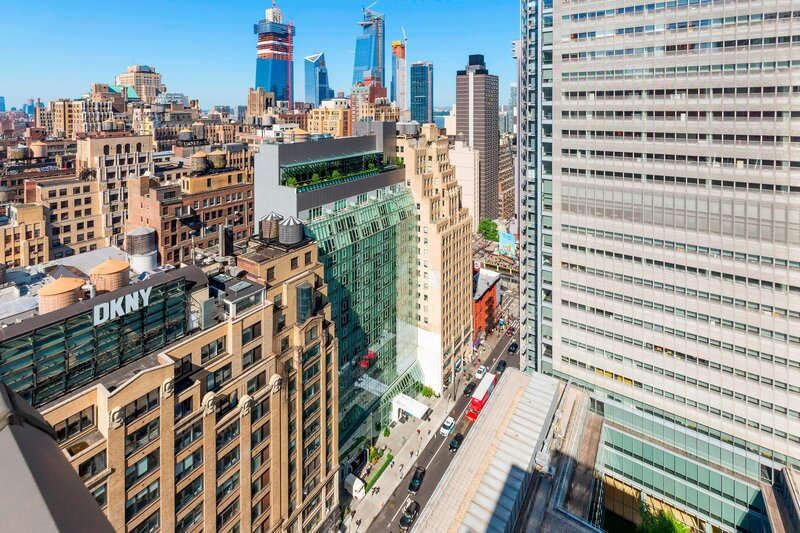 This perfectly positioned hotel – close to Broadway, Times Square and the Garment District – promises an oasis of calm in the city that never sleeps.